Percussionist contemporary training , he quickly headed for the experimental music. It is found as a musician and composer with Wooshing Machine , Le Théatre Sonore , kasper T.Toeplitz , Myriam Gourfink , Karine Ponties , Art Zoyd , Espace Pasolini.. Jason Van Gulick For more than a decade, Jason Van Gulick has used his education as an architect to explode the foundations of drumming. 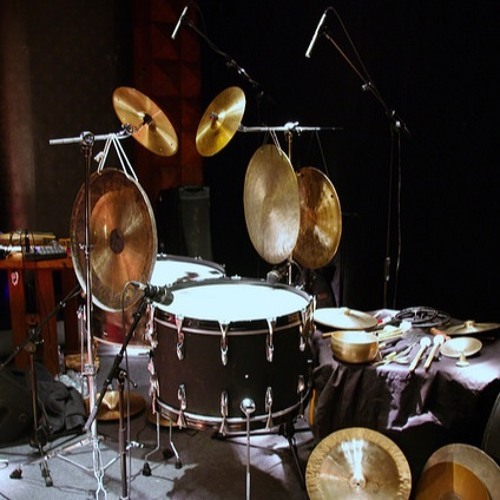 Since 2011 he has been working on the development of several drum and percussion solo pieces, building on the foundations provided by such luminaries as Fritz Hauser, Ninh Lê Quhan or Chris Corsano. Through his projects, he affirms his place as a percussionist and thus as an autonomous solo musician. The exploration of space by the diffusion of sound and locating the musician in relation to an audience, have become recurring themes in his projects. His background in architecture and as a performing arts technician have inspired and motivated his own artistic work.